- Elena Bonner : "All Journalists' murders must be fully investigated", without Double Standards. During a special Mega-Event to celebrate 20 Years of SAKHAROV Prize for "Freedom of Thought", attributed in 2008 by EU Parliament to jailed Chinese Cyber-Dissident Hu JIA, the move was reinforced by strongly criticizing the persisting impunity in three cases of Journalists' Murders, such as POLITKOVSKAYA in Russia, GONGADZE in Ukraine, and ADALI in Turkish-occupied part of Cyprus. - "The most important and most interesting thing he did was to ... say the Truth :.. to write about the phenomena he observed... He never stopped Publishing.. on websites, so that the Public could learn about the reality .. and understand it. In my view, this has been his greatest contribution", stressed the young wife of the jailed man, eager to cite also the cases of other critical journalists who faced various kinds of "harassment". - "Welcoming all those who have suffered for defending Human Rights", EU Parliament's President, German MEP Hans Gert POETTERING, who had invited to Strasbourg all former Sakharov prize-winners from various Countries throughout the World, said that "China needs Europe, and Europe needs China : A great nation" with which "we want to have a good relationship", "association and ..friendship". "But we are never going to stop our fight for Human Rights, and No Government can expect this from us". - "It's impossible to achieve goals of Peace, if Human Rights are left out. In fact, Peace and Human Rights are intrinsequaly linked", added POETTERING. investigation and trial following the murder of (a) Journalist ...raises serious concerns with regard to transparency and respect for the rule of law", when a "brutal killing has not yet been fully investigated and solved in a satisfactory way". The text refered to dissident Journalist "Anna POLITOVSKAYA", a critic of Tchechen conflict, killed some years ago in Moscow, where Russian Authorities have found, arrested and are currently judging two executants, while also searching to arrest also a 3rd one, allegedly escaped in Belgium. But they have not yet found the instigators. Similar texts were adopted recently also on dissident Ukranian Journalist Georgiy GONGADZE's murder, for which Ukranian Authorities have at least found, arrested and condemned 2 executants to 12 and 13 Years of jail, but not yet the instigators. For that purpose, they recently accepted an International Experts team to participate to the investigations. But, it's only for the Murder of dissident Turkish Cypriot Journalist ADALI, in the occupied territories of Cyprus, that Turkey has NOT yet found ANYONE responsible, and even claimed recently inside CoE that it would be "impossible" to do so ! 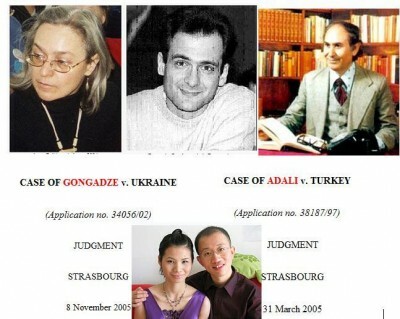 These astonishing differences exist despite the fact that ECHR condemned alike Ukraine and Turkey with 2 Judgements on the same year : 2005, for the murders of Journalists GONGADZE and ADALI, strong critics of Corruption in Ukraine, and of Ankara's policies on mass-influx of Turkish Settlers in the Occupied Territories of Cyprus, respectively. "an INTERNATIONAL group of Experts" in the Investigation, (f.ex. of "Tape Recordings"), accepted by Ukraine. On Gongadze's murder, CoE formally "recalls that the Committee (of Ministers) ..URGED the Ukranian authorities.. to TAKE ALL NECESSARY INVESTIGATIVE STEPS TO ACHIEVE CONCRETE and VISIBLE RESULTS in the INVESTIGATION, aimed at the Identification of the INSTIGATORS and Organisers of the Murder", and "STRONGLY INVITED the Ukranian Authorities to provide information on the PROGRESS IN THE INVESTIGATION", before MARCH 2009. But, on Adali's murder, on the contrary, CoE's body merely .. "took note" of the "arguments presented by" Cyprus, which denounce the absence of any proof of new "investigation" by Turkey. 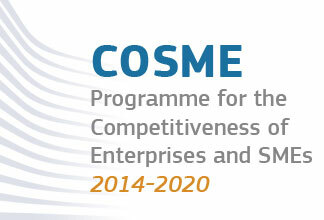 Following Turkey's own suggestion (! ), it simply "noted" that there is "no limitation period" for "any new element" to "lead potentialy (sic !) to a Re-Opening of the Investigation". Without saying who might find any such "new" fact, since Turkey stoped searching... It also POSTPONED the issue until .. JUNE ! - On Gongadze's murder case, Ukranian Authorities already arrested and condemned, at least 2 suspects, to 12 and 13 Years of jail. And on Politkovskaya's murder at least 2 suspects are judged, and a 3rd one "wanted". F.ex.,on the crucial issue of the "MOTIVATIONS" behind Adali's murder, noted by ECHR, Turkey MERELY CLAIMS that "all allegations were investigated; without result", but OMITS ANY FACT TO PROVE IT !.. 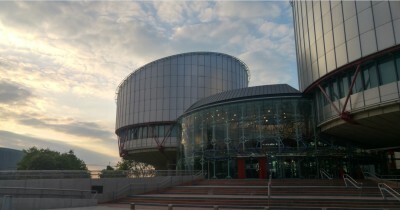 (It doesn't even remind which were these "allegations").. .
- As for the astonishing absence of key-WITNESSES' Testimonies, denounced by ECHR, Turkey agains repeats various pretexts avoiding to reveal anything, (Fex. that a person "left" the Occupied Territories "on 2002", or that another witness was heard, but without revealing nothing of what he said, etc). Turkey obviously "FAILS TO MEET THE CRITICISM made BY THE COURT" for lack of any efficient Investigation in Adali's case, concluded Cyprus' Government. - "Where was that ? In Turkish Occupied Cyprus ? WITHOUT ANY DOUBT : Any murder of Journalist should be investigated in full ! All these Murders must be investigated ! ", replied the famous SAKHAROV's wife, Elena BONNER to our question on Adali's case, compared to Gongadze and Politofskaya. 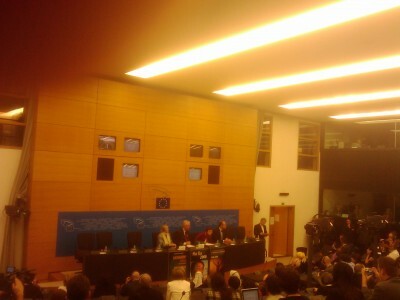 of EU Parliament on the occasion of 20 Years of her husband's SAKHAROV Prize. deny that to 30 millions of Kurds in Turkey ! ", she denounced. Parliament's President, German MEP Hans Gert POETTERING. in fact, Peace and Human Rights are intrinsequaly linked", added POETTERING. EFJ/IFJ's Secretary General, Aidan WHITE. Speaking as a matter of General Principle, White asked us for "concrete data"
From EU Rapporteur on Human Rights, vice-President of EU Parliament Liberties' Committee, MEP Giusto CATANIA, we were told that, since there is an ECHR judgement in both Adali and Gongadge's cases, "Turkey must naturally execute the judgement and make a full and efficient investigation, until those responsible for the Journalist's murder are found and punished". Even if "we (Catania's "EuroLeft" Group) support Turkey's EU perspectives, this does not mean that Ankara should not behave properly. On the contrary, it means that they have to meet tough conditions, particularly on Human Rights", was added on the occasion of Adali's murder case. Moreover, "since you raise the issue of Mr. Adali's muder as a part of a Series of Journalist's murders, including fex. Gongadze, Politkovskaya, ao., tthen we (EU) could also act together with CoE's Commissioner on Human Rights, Thomas HAMMARBERG, it was suggested. - "We (EU) must step up efforts against the problem of IMPUNITY : Real Peace cannot exist without Justice", stressed also this week at EU Parliament in Strasbourg, French Minister on Human Rights, Mrs Rama YADE.